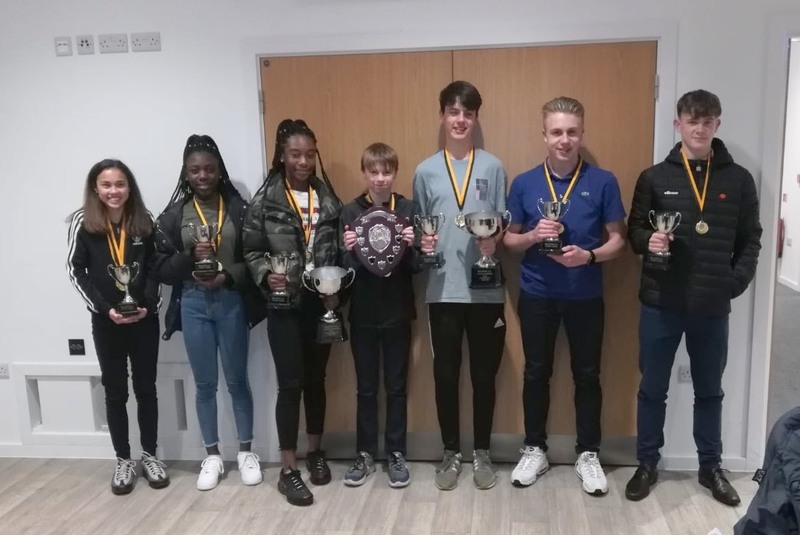 Walton athletes along with family and friends gathered at the Xcel Sports Hub to celebrate the outstanding athletic achievements of its junior athletes for 2018. 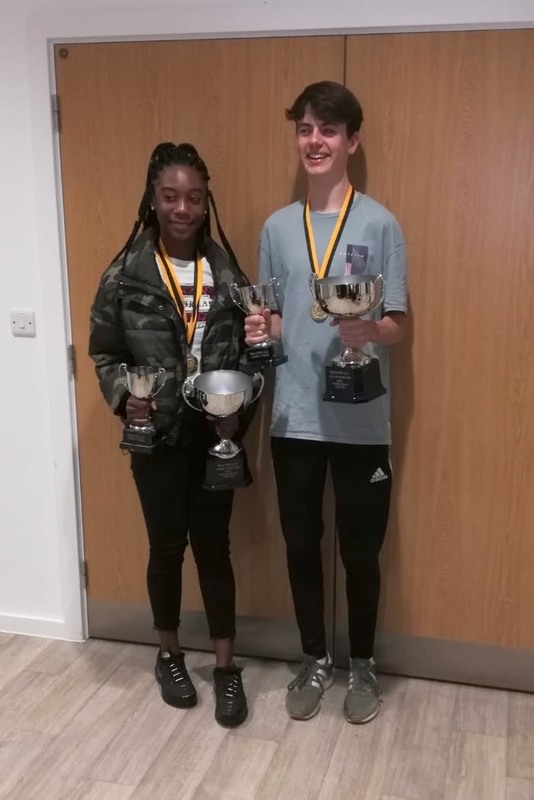 Jeslyn Agyei-Kyem and Ben Marks scooped the top female and male Athlete of year awards for their supreme athletic performances and achievements throughout the season. Jeslyn won all her 16 races at 300 metres and became the first Walton female athlete to win a English Schools title on the track for over 20 years and Ben won gold at the South of England Championships at 1500 Steeplechase and made the Surrey team for English Schools at both cross country and track and field. The Junior Cross Country trophy went to Ollie Emment who reigned so convincingly over the country in the under 13 age group with some outstanding performances, and became the Surrey Cross Country League Champion. Congratulations to all the athletes who won an award this season and special thanks goes to all the club coaches for their hard work and dedication throughout the season. Also thanks to all the volunteers who gave up their time to support the club throughout 2018.